For the last three years, Dynamic Attractions has captured the “Best New Product Concept” Brass Ring award at the IAAPA Expo in Orlando for their All-Terrain Dark Ride (2017), Motion Theater (2016), and SFX Coaster (2015). Today, they announced another new concept that gives Dynamic Attractions a serious chance at a Brass Ring four-peat: the Dual Power Coaster. In addition to the 4-DOF motion platform, it has dual propulsion. The combination of On-Board drive and an Off-Board Linear Synchronous Motor drive heightens the experience for guests. “Imagine racing on a track and then suddenly ‘powering-up’ to boost your speed,” added Wang. 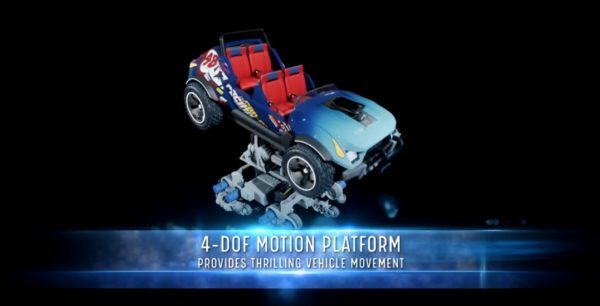 While the concept “Dual Powered Coaster” is sure to excite coaster enthusiasts, Dynamic Attractions also announced a strategic alliance with ride manufacturer Chance Rides. 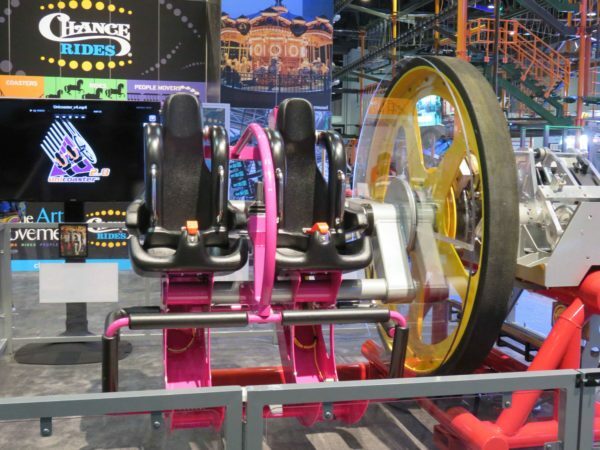 The two companies’ alliance allows them to capitalize on Dynamic Attractions’ strengths in engineering and cutting-edge innovation while leveraging Chance Rides’ full in-house manufacturing capabilities. Chance Rides has manufactured more than 5,000 amusement rides in its 57-year history. Their diverse product line of Coasters, Rides, and People Movers includes the famed C.P. Huntington Train, world-class carousels, and giant observation wheels. Together, Dynamic Attractions and Chance Rides will combine Dynamic’s forward-thinking innovation and Chance’s on-time & on-budget manufacturing. The synergies created by this alliance will give park designers new tools to work with, keep park owners within budget, and provide guests and ride enthusiasts with exciting new experiences. 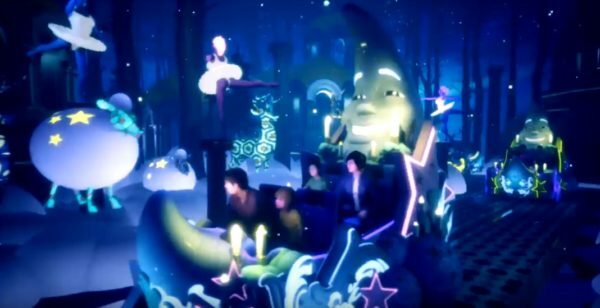 During their IAAPA press event, Dynamic Attractions also announced the openings of two “firsts” from the company. 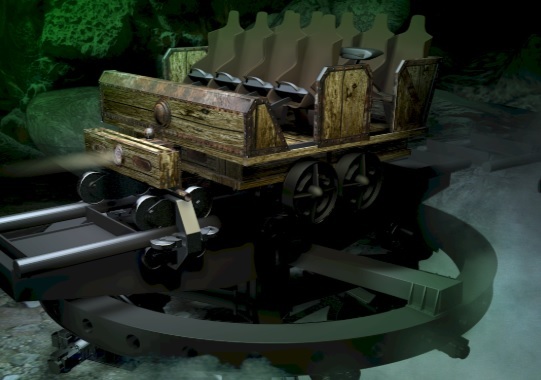 Dynamic Attractions’ first Robotic Arm Dark Ride opens this month in Abu Dhabi. 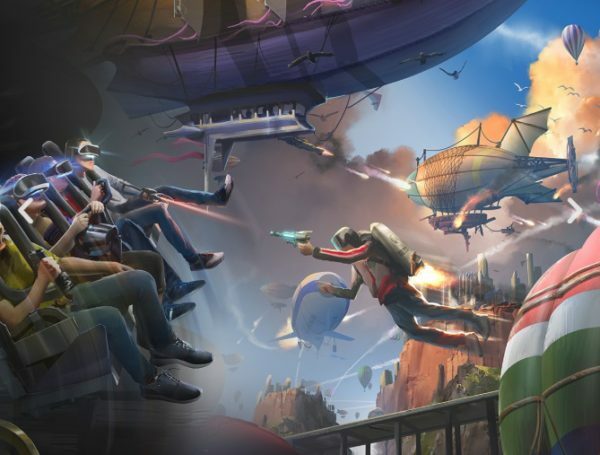 We will also see the debut of Dynamic Attractions first SFX Coaster in early 2019. Are you excited for the Dynamic Attractions announcement? Let us know in the comments below!